• While applying for a loan: Whether a large listed company or a SME, we will have your company’s credit records if your company has raised loans from a bank or financial institution. Your CCR is then used to evaluate your company’s creditworthiness whenever you apply for a loan or additional credit lines. Accessing your CCR helps you ensure its accuracy and a better understanding of your financial standing. • While building reputational collateral with business partners: Your CCR acts as an indicator of your company’s financial strength and helps negotiate better credit terms while doing business. Partners and vendors see a demonstrated ability to regularly service loan obligations as an indicator of your financial strength. • While re-evaluating existing trade credit practices: Ask your business partners to build reputational collateral by sharing their CCR with you, which will give you an understanding of their creditworthiness and help you to periodically re-evaluate the credit terms you provide. • Credit facility details: This section contains details of the credit facilities availed by your company and the repayment pattern. • Guarantor and Credit facilities guaranteed details: This section contains details of the credit facility and the details of the business entity/ individual that has guaranteed the particular credit facility (if any) availed by your company. • Enquiry details: This section contains details of all the enquiries, i.e., the number of times your company’s credit information has been requested by members (banks and financial institutions) from CIBIL over a period of the last 2 years. • Suit filed account(s) of the borrower: This section contains details of any suit filed against your company. Review your CCR and ensure that it is accurate so that your business does not face a liquidity crunch at an inopportune time. FAST TRACK YOUR LOAN APPROVAL WITH CIBIL TRANSUNION SCORE. Did you know 90% of new loans sanctioned are to individuals with a credit score of 700 and higher? Your CIBIL CIR is provided to you along with your score, because it is the basis on which your Credit Score is generated. It's a record of your credit history. i.e past loans or credit cards availed from various loan providers. who are members of CIBIL. For more information please go to the Frequently Asked Questions section. What goes into the loan approval process? Getting your loan approved can be complicated process. Just go through the loan evaluation process to understand the critical role the CIBIL TransUnion score plays in getting your loan sanctioned. WHAT IS A CIBIL CREDIT REPORT AND WHAT INFORMATION DOES IT CONTAIN? • Account information such as the type of loan taken (home, auto, personal, overdraft, etc), the size of the loan, the current balance outstanding, overdue amount (if any), number of days a payment is overdue (if there is an overdue amount) and so on. • Information on the number of ‘Enquiries’ made by loan providers on an individual. An “Enquiry” is created on your credit report every time the Credit Institution requests the credit bureau for your credit report. How do an individual clear inaccurate information in his/her CIBIL Credit Report? The CIBIL CIR consists of Consumer / Borrower Information, Account Information and Enquiries. If any information on your CIR is inaccurate or needs to be updated, we shall be pleased to assist you in rectifying / updating your CIR. You can raise a Registration online by clicking the link provided at the bottom of the page. This process is known as Cibil Clearance. A Registration Request can be raised based on either a CIR purchased by you directly from CIBIL or a CIR accessed by the Credit Institution or We also provide detailed cibil report instantly, Just provide your KYC documents. When you have applied for a loan with that Credit Institution. Go through the types of inaccuracies of any errors enlisted in your cibil report to understand the various discrepancies that can be rectified. 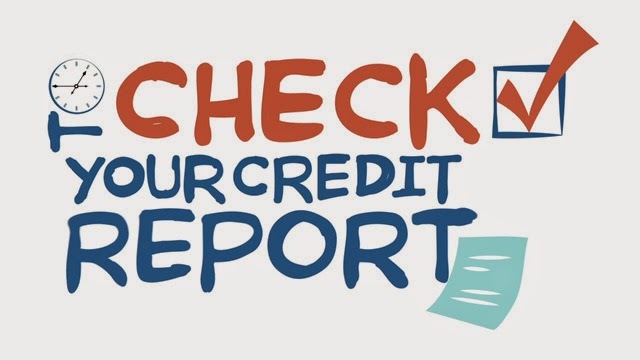 Why CIBIL credit report is important & How to analyse Credit Score? Your CIBIL CIR is provided to you along with your score, because it is the basis on which your Credit Score is generated. It's a record of your credit history. i.e past loans or credit cards availed from various loan providers. Why CIBIL credit report is important? A CIBIL credit report contains all the details pertaining to your borrowing history and its repayment discipline. Banks and FI’s allow loan to a borrower on the basis of CIBIL credit report. A good credit score helps borrowers to get loans easily from banks. You can inculcate financial discipline by analyzing the credit report. It helps borrowers to avoid the debt trap. You can stay away from extreme financial leverage by analyzing the credit report properly. How to analyse Credit Score? CIBIL’s credit score ranges from 300 to 900 points. 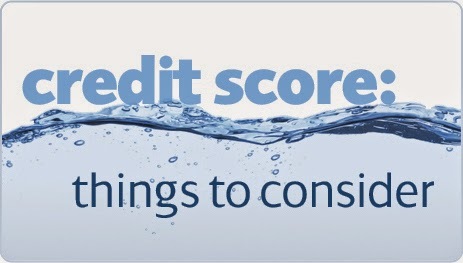 A higher score close to 900 reflects good credit history i.e. lesser defaults in payment, no over leverage and disciplined repayment. A lower score close to 300 reflects bad credit history. Banks prefer lending to borrowers with high scores and 750 to 800+ points is considered as a good score. CIBIL is the repository of information which is pooled in from all Banks and lending Institutions operating in India. CIBIL have a database size of over 17 crore consumer records and over 65 lacs company records contributed by our over 500 Members. The Credit Information Companies (Regulation) Act, 2005, and various Rules and Regulations issued by Reserve Bank of India has empoweredCIBIL or (Credit Information Bureau (India) Ltd to collect the data from various types of credit grantors (i.e. lenders). and then share the same within the group. The legislation has enabled banks to submit data to CIBIL without obtaining borrower consent This has enabled CIBIL to tracks repayment history of bank customers loans, credit cards and further banking finances. CIBIL’s aim is to fulfill the need of credit granting institutions for comprehensive credit information by collecting, collating and disseminating credit information pertaining to both commercial and consumer borrowers, to a closed user group of Members. Banks, Financial Institutions, Non Banking Financial Companies, Housing Finance Companies and Credit Card Companies use CIBIL’s services. Data sharing is based on the Principle of Reciprocity, which means that only Members who have submitted all their credit data, may access Credit Information Reports from CIBIL. The relationship between CIBIL and its Members is that of close interdependence. A credit score is 3 digit numeric value, ranging between 300 and 900 assigned to a person based on their past credit history. A person with higher credit score has brighter chances of availing credit as lenders are more comfortable in processing their loan application. A lower credit score can lead to denial of loan application. Even if a bank is willing to lend to person with lower credit score, it will be at higher rate of interest. This is known as risk-based price adjustment practice of lenders.